Grease Trap Repairs and Replacements are very common as most of the Grease Traps installed are made from fibre glass or concrete. These Grease traps are very good but they do have a shelf life due to the nature of the material and the corrosive element of the grease trap contents. The companies that make the concrete and fibreglass grease traps are solid and reliable and do a great job but the concrete and fibreglass ones just don’t last as long as the poly systems. Having said that, there are many instances that can only be fulfilled by a non poly system. Poly Systems are very durable and long lasting and perfect for grease trap repairs/ replacement options. Once again the company that makes these plastic grease traps are a very good and trustworthy business as well. Plastic grease traps are a little easy to install as they weigh less then the other grease traps and do not always require a crane to lower them in to position. Poly or Plastic grease traps are called Modular Grease Traps. What does this mean? 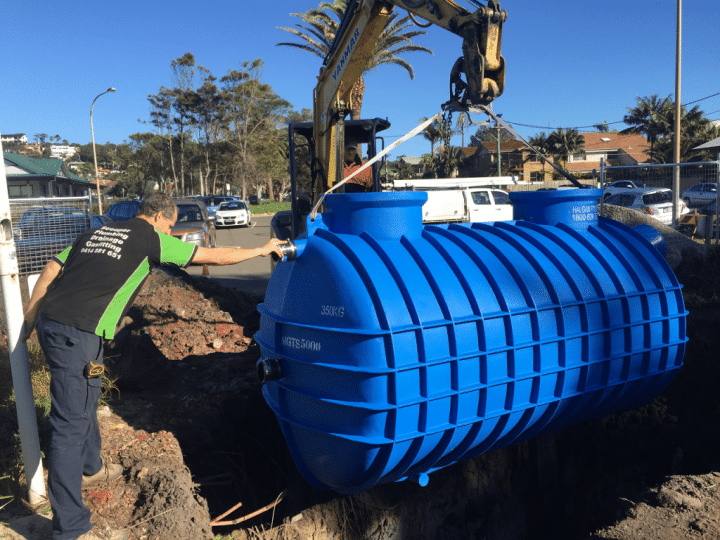 The plastic Grease Traps come in 500, 600,1000, 1100, 1500, 2000, 3000 ,l4000 and 5000 litre tanks. Lets say you have a large restaurant or its for a food court and you require a minimum of a 5000 litre grease trap. If you wanted a plastic modular grease trap you would have to join say a 3000 and a 2000 litre grease trap together via a drainage connection pipe and this would now be a 5000 litre grease trap. If your old system has collapsed and there is know way of getting a large concrete or fibreglass system into this same location as the building has been built around or over the grease trap then the modular grease trap system is ideal. You are able to take in smaller tanks through the building and still meet the litre requirement. This is just a basic look at your options. Off course not all situations allow for either system to be installed. There is generally always a way. Poly Grease Traps may Last Longer and ideal for grease trap repairs and replacements. Easier to move in to position.